This list is perfect if you’re a business newbie. I can basically guarantee you that at some point in your first year, you’ll encounter all of these things, whether you see them coming or not. 1: Make sure you have proper bank account and credit card statements. There are many great reasons for this. One, in the unlikely event of a CRA audit, these are probably the first thing you’ll be asked for, making them a must-have. 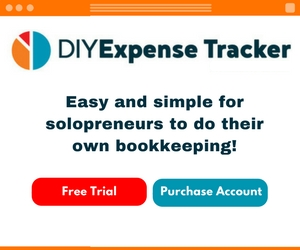 Two, they act as a personal ledger for both you and your bookkeeper (or tax professional). You can easily account for missing receipts, track expenses and even help maintain your budget. An example for budgeting might be that recurring charge you see regularly and realize it’s for an online service or subscription you no longer need. Three, they give you and your tax professional a real clarity as to what is a business expense and what is personal -especially if you have separate accounts for these, as I highly recommend. 2: Make a point to learn your CRA obligations. The CRA isn’t like Welcome Wagon. They don’t seek out new business owners and provide a handbook or a crash course. It’s solely your responsibility to know your obligations, and I do mean solely: many tax preparers won’t tell you if there are mistakes in your books. They do their best with what you give them and move on to the next. It’s in your best interest to learn the right steps and comply with them. 3: Get a mastermind or other support group. They say that we are the sum of the 5 people we hang around with. A mastermind, coach or support system is essential. Where do you go when you don’t know the answers? What keeps you in the right frame of mind and moving forward? We all need someone with experience who is aware of our goals and our vision, and can keep us on the right track. 4: Join a networking group so you form constructive professional relationships with others. This is underestimated often by entrepreneurs. You’ll gain a lot of insight – even inspiration - from others just by learning about them, their businesses, and how they operate. There is simply no substitute for having peers you can call up when you have questions or need advice. As you gain more experience and start answering questions for others, this can be a big confidence booster, too. Networking also opens doors and turns you on to new possibilities, opportunities, ideas, technology, strategies and markets that you hadn’t even envisioned. 5: Get educated on the small pieces of business. These often involve decisions that impact you -decisions you may not realize ahead of time that you needed to make. For example, many entrepreneurs incorporate before they really understand what incorporating means. Others don’t know some of the best write off opportunities in their business, and by the time tax season comes around, they’ve learned too late. There are essential building blocks to an incorporated company and decisions involved that carry significant impact both personally and in your business. If you’d like to learn more about those, more about write offs, or any of the “small pieces of business” many entrepreneurs don’t know beforehand, my E-School may be right for you. 6: Understand how you earn your money. T4 or T5? Payroll vs Dividends? If you want to pay less tax (AKA have more money in your pocket), you’ll need to know which method works better for you and the ramifications of each. This is a complicated area, and to make matters worse....the tax implications can change each year. Get the appropriate advice early in your year....if you wait until the end, you really don't have the proper choices. 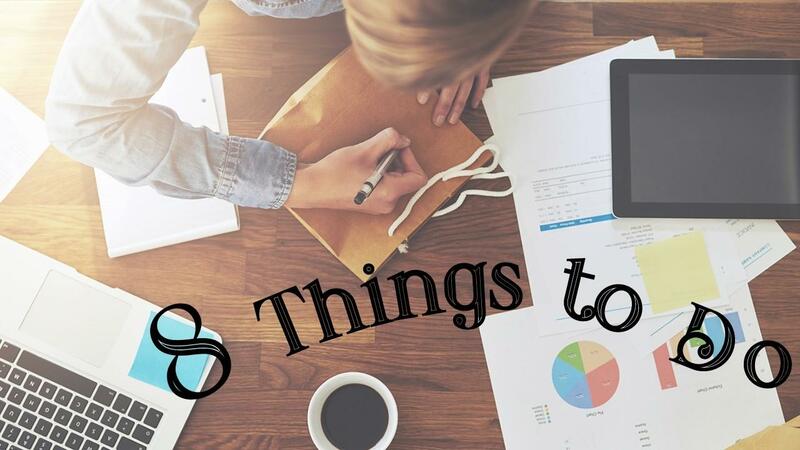 7: Learn how to read your financial statements. Your business gets better and better when you understand what it does. Financial statements aren’t difficult to read (another thing I teach in E-School). Every accounting professional, from your tax preparer to your banker, will use them. 8: Figure out how to re-energize yourself. Nobody else can run your business like you can. No one knows your vision as intimately. If you’re a solopreneur, particularly an artisan, you likely can’t even delegate the work to anyone else. But it can’t be business all the time. This invariably leads to exhaustion, frustration, overwhelm. Know what provides relief for you. Take care of yourself. Know what will invigorate you so that you come back to work recharged. Has this list been helpful? I sure hope so! I cover all of these points – and more – in greater depth in my E-School. It’s a great compliment to your first year in business! Our Facebook group is also a good place to start that networking. Questions are always welcome! Cheers to your first year in business!